Lilac Dwarf Korean Tree - Tree Top Nursery & Landscape Inc. 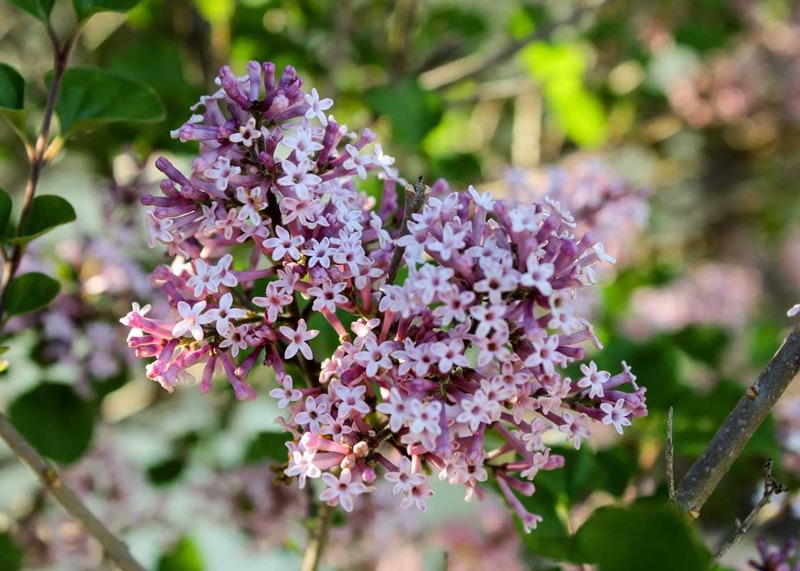 This small, grafted lilac tree has reddish purple buds in spring that open to fragrant lilac flowers. It has dark green foliage in the summer that turns yellow in fall. It stays dense and rounded, eventually spreading. It is low maintenance and can be used as a tall foundation planting, accent, or in a border. It prefers full sun and is adaptable to a wide variety of soil types, including wet and dry soils.